It’s hard to believe we’re already starting another academic year here on campus. For so many – myself included – summer flew by. Check out what a few of our students spent their summer months doing, along with a fun read on my travels to China as part of the UCI delegation for the Global Chinese Philanthropy Initiative. We hit a milestone in June with our graduating class of 2018. The 1,986 graduates who received their bachelor’s degrees pushed us over the 50,000 Anteater alumni mark in social sciences. 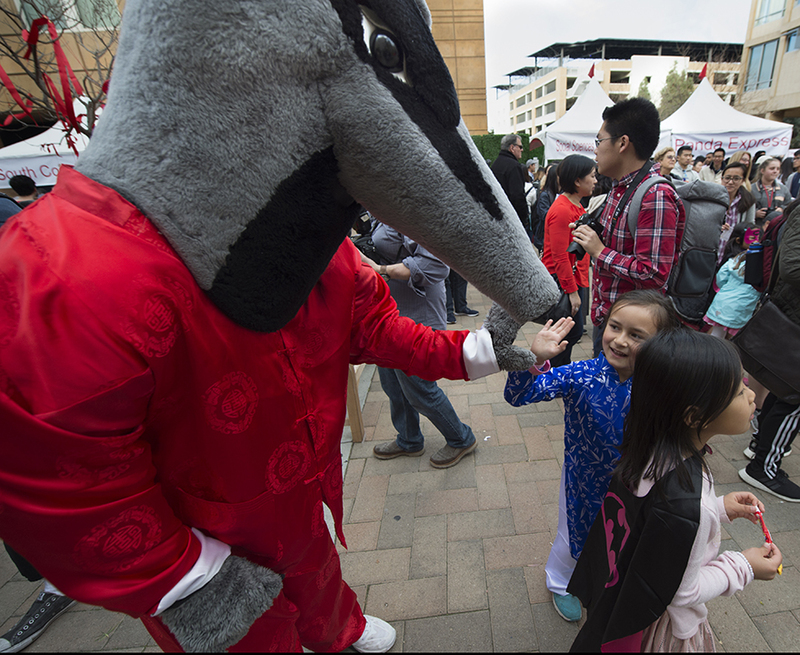 So that means every graduate who earns his or her degree from UCI social sciences from here forward joins a network more than 50,000 soc sci Anteaters strong who are leaders around the globe. From the halls of justice in D.C. to international posts in capitals around the world to entrepreneurial enthusiasts from Northgate to Northern Africa, they’re active in courtrooms across the nation, boardrooms in some of the world’s top companies, and classrooms around the globe where our Anteaters are training our next generation of leaders. We even got to welcome our own William T. Um, ’90 economics and psychology, to the UC Board of Regents. ZOT, zot, zot! On Monday, I had the awesome opportunity to welcome in 715 new social sciences freshmen who join our 647 new transfer students and 5,055 returning students to bring us to our largest undergraduate student population EVER in social sciences – 6,417 Anteaters. Our entering class, which is comprised of nearly half first generation students to whom we proudly offer tailored resources to ensure success, was selected from among a record-setting pool of 116,000 applicants to UCI. This means we truly got the best of the best and I’m excited to help them see why making UCI their #1 choice was the right move. We’re also welcoming in (and back) our largest graduate student population to date; 90 new Ph.D. students and 18 master’s students are joining our 350 continuing Ph.D. students to bring our total grad student count to 458. And just to continue our record-setting trend, our LPS department was named among the top 10 programs globally in 10 specialty areas, garnering No. 1 in three: general philosophy of science; philosophy of mathematics; and decision, rational choice & game theory (courtesy of the Philosophical Gourmet Report), and U.S. News & World Report this year gave UCI its highest ranking yet as the #7 best public university in the country. It truly has been a remarkable year and we’re looking forward to an even better one. Joining our faculty ranks this year are 13 new scholars coming in from universities across the globe, some fresh out of their Ph.D. programs and many in established careers as outstanding researchers and educators in their field. Learn more about their expertise and experience here, and if you’re a member of the soc sci faculty or staff, join us in welcoming them at our annual Zotoberfest on Oct 4. Keeping with our school’s commitment to creating an inclusive environment, 46% this year’s new faculty cohort identifies as non-white and 54% are women. We also welcomed in (mid-year) UCI Visiting Distinguished Professor Martin Burt, former mayor of Asuncion, Paraguay and director of Fundacion Paraguaya, a nongovernmental organization that advances microfinance and entrepreneurship in the South American country. He’ll be spending the next five years sharing his knowledge and applied approaches on eradicating poverty with UCI students, faculty and communities. And to ensure the school remains committed to diversity, effective July 1, sociologist Belinda Robnett became the school’s first-ever associate dean of faculty development and diversity. Focused on elevating existing – and creating new – programs to facilitate excellence that includes attracting and retaining a diverse faculty and student body, the role is a perfect fit for the sociologist who has spent more than three decades studying diversity from a racial-ethnic, gender and social perspective. I’m also pleased to announce that Jeanett Castellanos, social sciences teaching professor and alumnus (’94 sociology and psychology), is the new associate dean of undergraduate studies in the School of Social Sciences at UCI. She has a real commitment to undergraduate education and is a legendary mentor. She also understands the challenges many of our students face, and I am proud that she will build on our strong tradition of leadership in undergraduate affairs and access for all our students. As we serve an increasingly diverse student body—and in a time where role models and allies are more important than ever to our students--I am truly grateful for the work our chairs, equity advisor and search committees put into demonstrating our commitment to a diversity of backgrounds and perspectives for enhancing campus climate and advancing scientific knowledge. Keeping with tradition, I like using this time each year to highlight some of our outstanding accomplishments from the year past, and the list always seems to get longer. We re-launched our linguistics department into our newly named language science department - chaired by Lisa Pearl (lang sci and cog sci) - which has its own major (same name); our cognitive sciences department launched our school’s first bachelor of science degree with the B.S. in cognitive sciences; and we’re anxiously awaiting final approval on departmentalization of another program – and we’re expecting a big splash to come on that one! 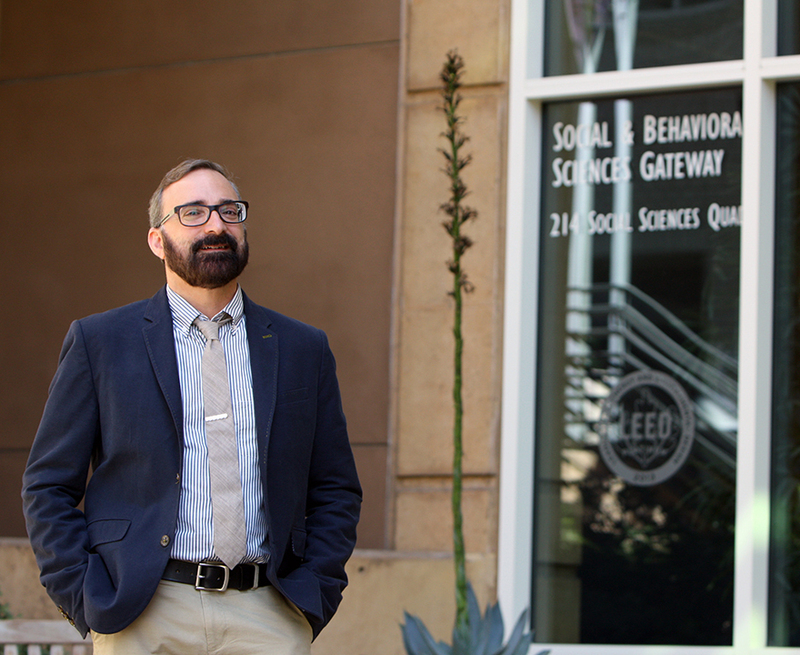 We also launched the Center for Administrative Data Analysis, directed by Andrew Penner (sociology) which is a new interdisciplinary UCI center to support research using school data to guide decision-making on challenging policy issues. We were fortunate to receive another large gift - $2.4 million - from the estate of Christian Werner. As a former faculty member and dean of social sciences, Werner and his partner, Kathy Alberti, a long time staff member in the school's graduate office, saw the difference additional funding can have on a student's ability to focus on academics and research. Through Werner’s estate, they've donated more than $4.4 million to support fellowships in the school's top-ranked graduate programs. This summer, we inaugurated our new Dean’s Leadership Society Academic Excellence Room – formerly, SSPB 1208 and now SSPB 1222 – renovated with the generous support of the DLS. The DLS has grown to over 100 members—alumni, community members and other supporters—who also set up an endowment fund this summer to ensure their gifts have a legacy beyond our immediate needs. We had another stellar year in securing extramural grant research funds with more than $5.6 million in awards coming in from the National Science Foundation, U.S. Department of Education, International Currency Association, United States Air Force and Defense Advanced Research Projects Agency, Laura and John Arnold Foundation, Russell Sage Foundation, UC Laboratory Fees Research Program, Santa Ana Watershed Project Authority, and UCI’s Provost Initiative on Understanding and Engaging with Extremism, as well as others. These competitive funds are allowing our world class researchers to study topics ranging from social movements, water use, artificial intelligence, and digital extremism to the anti-vaccine movement, air pollution, global value chains, and school choice. These are in addition to numerous other awards, each of which is helping our faculty advance research in crucial areas. In an effort to garner more external resources to support the social scientific knowledge and inquiry that will drive the research of tomorrow, we’ve partnered with the School of Social Ecology to hire Holly Hapke, our new research development officer. Hapke brings with her experience as a professor, researcher, and higher ed administrator, and experience and internal knowledge of how national agency funding works based on her prior three-year post as a program director at the National Science Foundation. With split time between social sciences and social ecology, she’ll serve as a valuable resource to faculty and graduate students looking to put together competitive grant funding packages. Speaking of graduate students – our grad students had an awesome year in fellowship and grant funding success, securing competitive, multi-year packages from agencies from the National Science Foundation to The Wenner-Gren Foundation. Among our many community partnerships, the homelessness cost study led by sociologists Goldberg and Snow in conjunction with the United Way – which found that the price tag of homelessness in OC totals nearly $300 million, while placing people who chronically live on the streets into housing would actually save $42 million in health care, law enforcement and other expenses – is being used as the basis for the county’s plan to completely end homelessness. We worked with the Asian Americans Advancing Justice OC on a needs-assessment of Orange County’s Asian American community which found that treating Orange County’s Asian American, Native Hawaiian and Pacific Islander communities as a monolithic racial group obscures the unique needs of those who are most disadvantaged and vulnerable. We partnered with the Irvine Chamber of Commerce for the third year in a row to host the annual Business Outlook Breakfast, which drew over 700 business leaders and spotlighted UCI economist Jan Brueckner and Zillow CEO Spencer Rascoff in a talk about what’s happening in Orange County real estate and home prices. Our undergraduate student groups, like the Dean’s Ambassadors Council and Global Connect, continue to enhance the educational experience for all of our students, and our participation in and support of activities ranging from leading the First Gen First Quarter Challenge to the Olive Tree Initiative to partnerships with the Veterans Services Center and newly launched student initiatives exemplify our commitment to an inclusive environment for all students. Barbara Dosher (cognitive sciences) and Etel Solingen (political science) were honored by the National Academy of Sciences for major contributions to their fields. Dosher received the Atkinson Prize in Psychological & Cognitive Sciences in recognition of her groundbreaking work on human memory, attention and learning. Solingen was presented with the William & Katherine Estes Award for trailblazing work on nuclear proliferation and reducing the risks of nuclear war. Katie Faust (sociology) received the 2018 Simmel Award from the International Network for Social Network Analysis recognizing her contributions to the study of social networks. George Sperling (cognitive sciences) received the Ken Nakayama Medal, an honor recognizing innovations and excellence in vision science. Michael Tesler (political science) received the American Political Science Association’s Emerging Scholar Award, granted by the Elections, Public Opinion, and Voting Behavior section. Glenda Flores (Chicano/Latino studies) received the Outstanding Contribution to Scholarship Book Award from the American Sociological Association section on Race, Gender and Class for her 2017 book, Latina Teachers: Creating Careers and Guarding Culture. Sherine Hamdy (anthropology) earned the PROSE award for best work in cultural anthropology and sociology for her book, Lissa. Vicki Ruiz (Chicano/Latino studies) earned triple honors this year as she was awarded the Lifetime Achievement Award from the Immigration and Ethnic History Society; the Milestone in Education Award from the California League of United Latin American Citizens; and elected as a scholar-trustee for the New York Historical Society Museum and Library. A study by Jeff Barrett and Brian Skyrms (LPS) earned a coveted spot in the Philosopher’s Annual top-ten list of 2017. And Greg Scontras (language science) earned bragging rights as the Linguistic Society of America’s Five-Minute Linguist winner. We continued our track record of publishing our work with the best academic presses and in prominent journals, and - as in years past – the media picked up a lot of our work and relied heavily on our faculty as expert sources on topics ranging from gender in the workplace, health, and gerrymandering and racial issues in politics to parenting in the 21st century, immigration, and blockchain technology. Just a few quick highlights: Belinda Campos (Chicano/Latino studies) found that the Latino approach to relationships yields mental and physical benefits. David Neumark (economics) discovered that the earned income tax credit increases women’s earnings over time. Jennifer B. Kane (sociology) found that of all the risk factors associated with delivering a low birth weight baby, a mother’s teenage smoking habit is by far the strongest observed. Barbara Sarnecka and research team uncovered through research that toddlers prefer winners, but not when they win by force. Alana LeBron (Chicano/Latino studies) discovered a link between racial discrimination and a greater risk for cardiovascular disease. And Kyle Stanford (LPS) tackled the question of how evolution made humans moral. I’m especially grateful to our faculty who take time to pen op-eds and work with journalists and media outlets to get their expertise noted as the definitive voice on these and other topics the social sciences address. We maintain a full database of media hits on our website and encourage you to take a look and/or follow us on social media for highlights. In 2017-18, our faculty and students were featured in more than 220 media publications, comprising more than 400 stories. 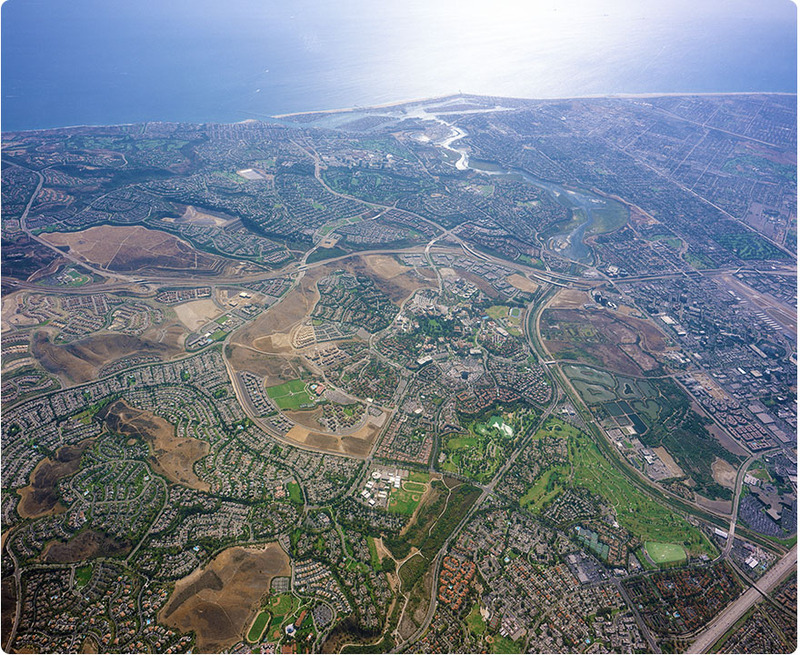 The top venues in which UC Irvine social scientists appeared were The Washington Post, Los Angeles Times, Orange County Register, Southern California Public Radio, The New York Times, NPR, The Atlantic, The Huffington Post, and MSN. Faculty also published a number of books on topics ranging from birthright citizenship (Chavez), religion and health (Hamdy), and global issues (Darian-Smith and McCarty) to how money works (Bandelj and Maurer), NATO’s learning crisis (Hardt), Holocaust violence (Kopstein), moral challenges in contemporary conflicts (Brunstetter), and U.S. human spaceflight (Olson). Our undergraduates, graduates and alumni were also recognized for a number of achievements and awards. Alondra Lopez, political science and urban studies, was named UCI’s Outstanding Freshman with receipt of the Aeberhard Award. Lauds & Laurels winners included investor-philanthropist Steve Borowski, ’79 social sciences alumni athlete, who earned the Alumni Association’s top Extraordinarius Award for his dedication to his alma mater; Iman Siddiqi, ’18 political science and Middle East studies, was the Outstanding Undergraduate and was also named the 2017 Dalai Lama Scholar; Sarita Rosenstock, ’16 M.A., was the Outstanding Graduate Student; Leticia Oseguera ’98 was the Outstanding Alumni Athlete; and Marice DePasquale ’96 was the school’s Outstanding Alumna. UCI alumnus Benny Luo, ’10 founder and CEO of NextShark, was named a Forbes 30 Under 30 for his work in media and joined me in welcoming our incoming freshmen class during welcome week. And many alumni answered our call to share their stories of entrepreneurial endeavors, which you can read in our past issues of the Social Sciences eNews (and if you’re not already on our mailing list, email communications@socsci.uci.edu to be added) or on our website. Ten of our dedicated staff members received five-year incremental service awards at the annual Staff Assembly recognition breakfast. Topping the list for the school were Helen Morgan with 25 years of service; and Andy Hill and Liz Robison, both with 20 years of service. We also learned more about some of the awesome activities our staff participate in outside of work – like Jennifer dos Santos who runs a non-profit empowering people affected by limb loss, and Dan Paley who writes children’s books. Kudos to all of our dedicated and hardworking staff, without whom we would not be able to achieve our research, teaching and service successes. There will undoubtedly be challenges ahead—these are, shall we say, peculiar times!—but with our commitment to the highest standards in teaching, research and in serving all members of our diverse community—and in modeling what a diverse community can be and can accomplish—we will continue to make positive change on campus and in the world. I also want to thank everyone who has worked to make social sciences a wonderful place to work—and to dean!—as I embark on my second term of service. Oh, and by the way, don’t forget to register to vote, and then to turn out on Election Day!